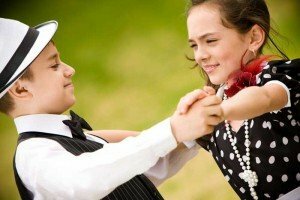 Whatever your level, from beginner to advanced whatever your age Jeff Dávila can improve your dance technique. What styles can you teach me? Private lessons are customised and structured to the individual’s or couple’s needs. Whether you want to learn a little or a lot. Or you may just want confidence boost and some practise. Contact Jeff today for an informal chat about your needs. Your wedding day is one of the most important and happiest days in your life. Your first dance is one of the most important dances you will ever dance. Amaze you guests (or partner) by learning with Jeff who will choreograph and provide a programme for learning your dance with style, grace, elegance, confidence, romance and sexiness, bringing the best out in you both and at the same time easing out any nervousness you might have. Your lessons will be relaxed and laid back. Jeff always suggests starting lessons as early as possible before your wedding, so feel free to call or email for an informal chat. Each dance lesson and programme for individuals and couples are designed specifically for your needs and can be hosted either at your home or at a dance studio near you. Please get in touch either by phone on 07766 243669 or email Jeff using the form here to check availability. Fees are payable in advance and a deposit of £45 is required at the time of booking. Lessons will be charged for unless 48 hours notice of cancellation is given.